This is some wth news. 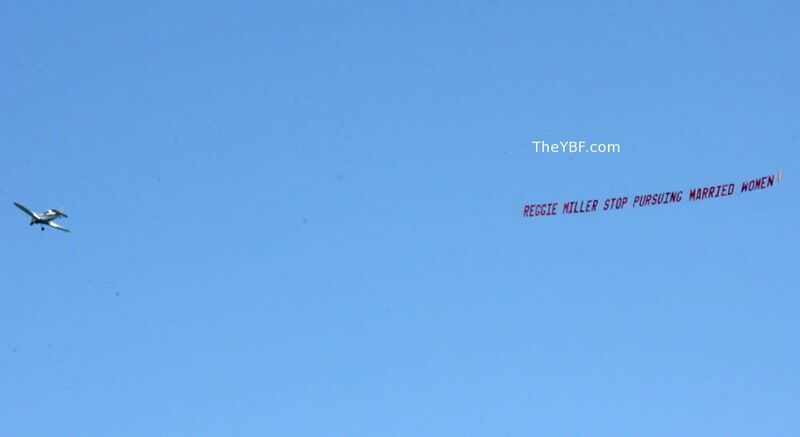 Former NBA start Reggie Miller looked up into the sky. He did not see a bird. He did not see a plane. He may have seen his name flying from the end of a plane. 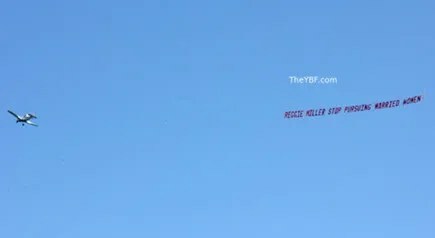 "Reggie Miller Stop Pursuing Married Women." That woman must be some hot stuff for men to be acting a fool like this. If that’s the case, she should teach classes. From what I understand ( from looking at the Wendy Williams Show yesterday ), this particular lady has being messing around with Reggie Miller, yet she’s engaged to someone else! Now if Reggie wants to be bothered with her, that’s his business. The only advice I would for the fiance would be to bump her big-time and to go get a new one.